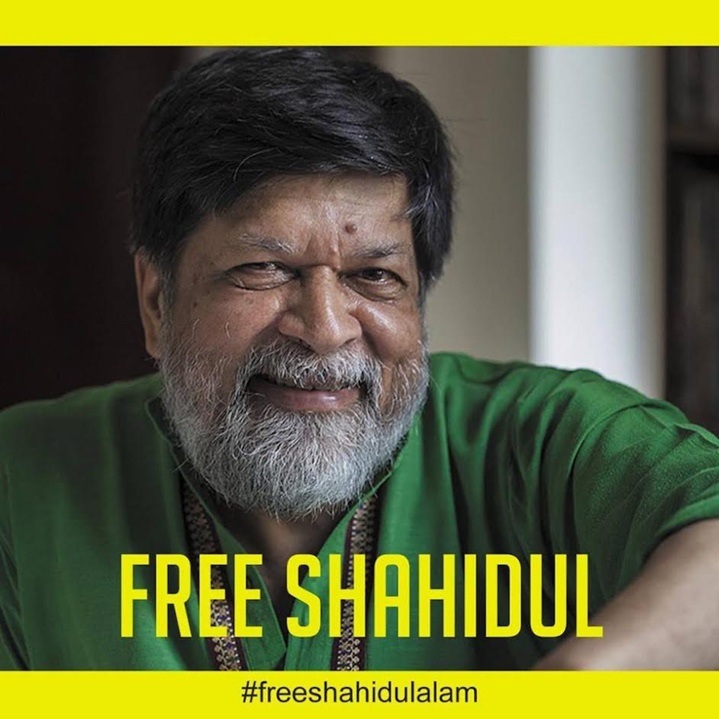 United voices today called for the release of internationally renowned photographer and close friend of the University of Sunderland Shahidul Alam from his Bangladeshi jail. On Wednesday more than 80 staff and students, along with campaigners and peace activists, unveiled photographs taken by Shahidul at the University’s Priestman Gallery. Academics and activists from Amnesty International gave speeches to the packed gallery before a procession carrying banners made their way to the University’s Northern Centre of Photography. Twenty other UK universities, along with exhibition spaces, and colleges, are displaying photographs taken by Shahidul in a bid to raise awareness of his imprisonment. The photojournalist, activist and former Visiting Professor at the University has been in police custody since his arrest on August 5, 2018. He was arrested following an interview he gave to Al Jazeera in which he spoke about the government following issues raised during the then-ongoing student protests in Dhaka. Arabella Plouviez, Professor of Photography and Dean of the Faculty of Arts and Creative Industries at the University of Sunderland, is a close friend of Shahidul. She said: “Shahidul is calm, driven and unfailingly just – we are concerned for his safety and join his family and many friends in demanding his release from injustice. 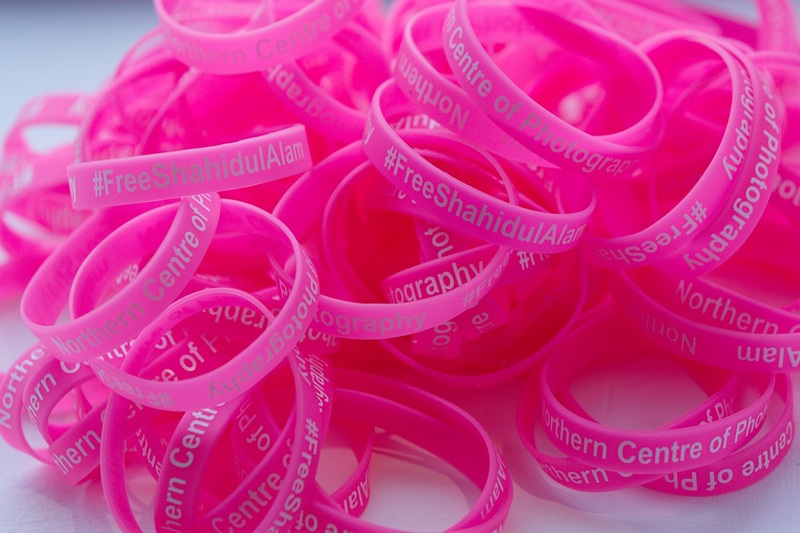 The University’s call for Shahidul’s release is echoed by a myriad of international voices including 12 Nobel Laureates, Archbishop Desmond Tutu, Hollywood actress and activist Sharon Stone, Amartya Sen, and several British MPs, including Sunderland Central MP Julie Elliott. Ms Elliott said: “Mr Alam is well-known in Sunderland. He has forged close links with several academics. He has visited the city and the University many times, where he has delivered lectures to students. I am well aware of the esteem in which he is held by his colleagues at the University. Peter Fryer, Associate lecturer at the University, gave a speech before today’s march. He said: “I have known Shahidul for over 30 years as a friend and a colleague. Having first visited him in Bangladesh, he then invited me over to work with him, so I wanted to talk about what he’s achieved over those years in today’s speech, both photographically and in terms of the infrastructure he’s established in Bangladesh for the dissemination of photography. The 63-year-old, who has been a long-standing friend the University, was taken from his home in the Dhanmondi neighbourhood of Dhaka by more than 30 members of the Dhaka metropolitan police and arrested for damaging “the image of the nation”. Shahidul is now being held under the controversial section 57 of Information and Communication Technology (ICT) Act, which carries up to 14 years in prison, and which has been used in more than 20 cases recently involving journalists. 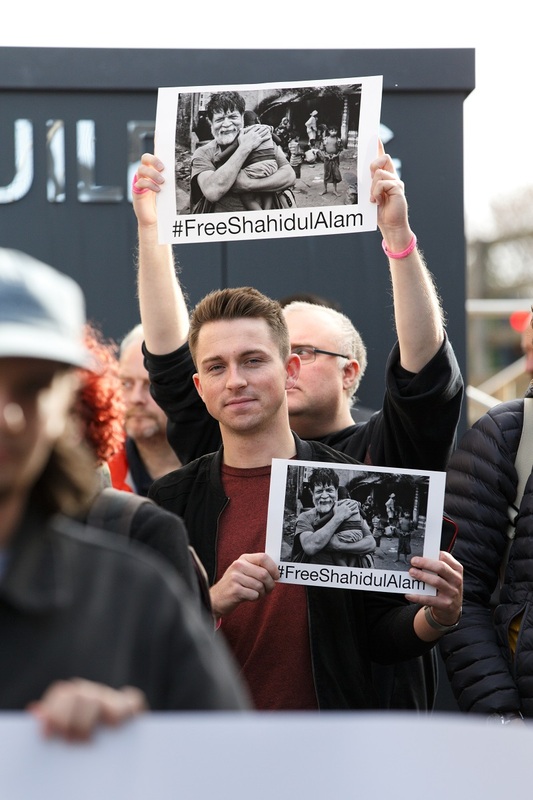 Steve Newman, Secretary of Wearside Amnesty International, said: “This has been classed as an urgent case by us since Shahidul was arrested in the summer. Shahidul’s photography focuses on exposing abuses of power, including images of the genocide of the 1971 Bangladeshi war of liberation. He founded the picture agencies Drik and Majority World, and the photography school Pathshala South Asian Media Institute. Viewed as a leader in his field, Shahidul has played a key role in educating and empowering Bangladeshi’s to photograph themselves, presenting their lives in a way which opposes western stereotypes and images. In court, the photographer claimed he was tortured in custody, an allegation which the police have denied but which has not been independently investigated. After a seven-day remand, he was denied bail and sent to Dhaka Central Jail on August 13, where he has been remanded in custody pending the completion of the police investigation. His imprisonment was extended and he remains incarcerated. The images displayed across the UK are from the exhibition recently shown at Drik in Dhaka, Bangladesh: A Struggle for Democracy - A Photo Journey by Shahidul Alam.